Meet the latest from Polycom: VVX OBi Edition. 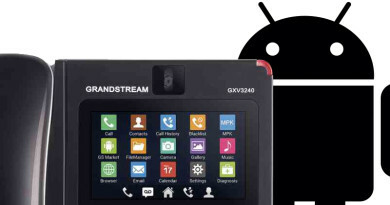 The VVX OBi Edition phones come with Polycom OBi software preloaded. This might sound small, but it’s really a big deal. Polycom VVX OBi Edition models are available for all four of the latest Polycom VVX 50-Series IP Phones, which we covered in an earlier blog. In this blog, we’re going to clearly explain what Polycom OBi software is and what advantages it offers for your business. Polycom VVX OBi Edition phones come with Polycom OBi software preinstalled. Polycom OBi software combines the incredible audio quality you expect from a Polycom phone with incredibly simple implementation and management. It also gives you a high degree of flexibility for customizing the interface to your liking. What Is Polycom OBi Software? 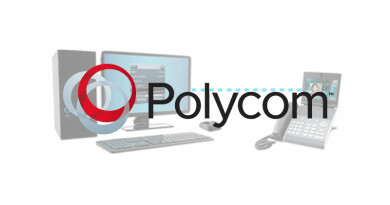 Polycom OBi software makes life easier for service providers that are new to Polycom. All VVX OBi Edition phones support Zero Touch Provisioning, so they’re ready to go before you even take them out of the box. Service providers can customize their default-running parameters for their customers. Simple! It provides each phone with a unique OBi number that simplifies cloud management, so you can manage your phone from anywhere. It works with PDMS-SP, an innovative cloud management service from Polycom. More on PDMS-SP in a bit! You can call from any Obi phone to any other OBi phone using their OBi number, making collaboration in the workplace even simpler. This feature can be disabled. The software includes Polycom HD Voice, Polycom Acoustic Fence, and Polycom Acoustic Clarity, so you get the crystal-clear audio that’s made Polycom so beloved of business users over the past quarter-century. HD Voice gives you rich, natural, wideband audio. Acoustic Fence sets a virtual fence around your conversation to greatly reduce noise. Acoustic Clarity improves full-duplex conversations with excellent echo-cancelling and noise-reducing technology. You get support for the Opus audio codec. Opus is an adaptive codec that can provide your chosen level of performance, from highly efficient narrowband audio or incredibly rich wideband audio, whatever works best for your phone system. OBi software enables additional virtual lines on your phones: 12 for VVX 250, 18 for VVX 350, and 36 for VVX 450. This means you can have more call appearances and quick action keys on your phone without resorting to an expansion module. You can customize the interface of the OBi edition phones from screensaver to ring tone to soft keys and more. Every pixel can be personalized! There are nearly 2,000 software design parameters that you can configure, so you can fine-tune your phone system for your specific requirements. For VVX 250 and up, the software also enables support for the Polycom OBiWiFi5G USB Adapter, a plug-and-play dongle for adding WiFi to your VoIP phone. The dongle supports both 2.4GHz and 5GHz WiFi. Using the dongle means you no longer have to worry about running cable to your phone. So long as you have a good wireless signal, you can place your phone anywhere. OBi software supports an enormous range of SIP phone systems, including BroadSoft, Asterisk, 3CX, Metaswitch, FreePBX, and FreeSWITCH. It does not, however, support Microsoft Teams or Skype for Business. If you need phones for those systems, there are specific versions of Polycom VVX 50-Series IP Phones for use with Microsoft. As you can see, OBi software is a big deal! We haven’t come close to covering everything that Polycom OBi software offers. But we must move on for now. PDMS-SP (Polycom Device Management Service for Service Providers) is an innovative service for managing your VoIP system through the cloud. PDMS-SP lets you centrally manage all of your Polycom SIP devices. Designed for maximum scalability, PDMS-SP focuses on improving four crucial areas of business telephony: value, management, troubleshooting, and support. PDMS-SP produces real value for your business by streamlining initial deployment of devices, lessens on-going expenses on operation, and provides improved lifecycle support. The service gives your management team fine-grained detailed about the performance of each phone, so you can improve the user’s experience and optimize the devices for your network. PDMS-SP helps with troubleshooting, as well. Because the service is cloud-based, your staff can track down errors through the network from anywhere. They can collect device logs to analyze what went wrong, reboot the devices, and more. Streamlined troubleshooting reduces downtime and improves workplace morale. You can see how the cloud management portal of PDMS-SP improves on device support. 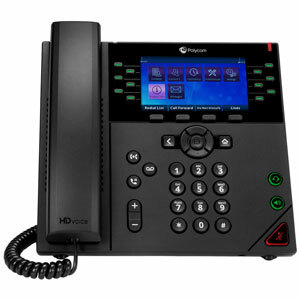 Polycom VVX 250 OBi Edition is a mid-range IP phone with Gigabit Ethernet speed. Perfect for cubicles and everyday workers, it has a familiar color LCD display with four line keys and four soft keys. The OBi Edition model also has 12 virtual lines, so you don’t need an expansion module. 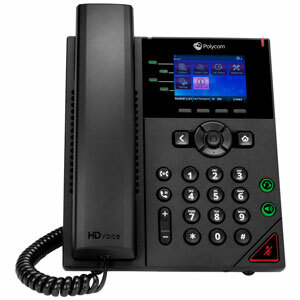 It supports Polycom HD Voice for crystal-clear audio and Acoustic Fence for distraction-free conversation. The USB plug lets you connect a Plantronics USB headset or use the Polycom OBiWiFi5G dongle to enable WiFi connectivity. There is also an RJ9 headset port. 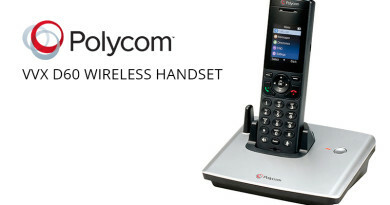 Polycom VVX 350 OBi Edition solves workplace problems. Small to midsize businesses (SMBs) will find a lot to love in the VVX 350, as will knowledge workers at the biggest enterprises. Polycom HD Voice and Acoustic Fence come standard. OBi software opens up 18 virtual lines, making VVX 350 work for power users and high-ups. The 3.5” color display with six line keys and four soft keys makes navigation simple and familiar. Because the Polycom OBi software lets you customize the appearance of your phone, you have ample room for streamlining your actions. VVX 350 works well for contact centers and similar places where you need long-lasting performance and advanced feature support. Plug in a Plantronics USB headset into the USB port or use the RJ9 headset port. The USB port also works to enable WiFi with an optional dongle. For executives and elite users, Polycom VVX 450 OBi Edition is an excellent choice. The sleek, modern design not only looks great on the desk, but provides intuitive functionality. 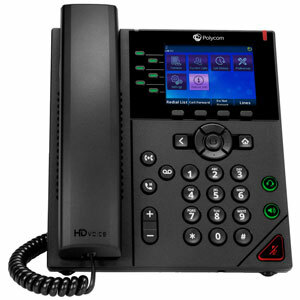 It matches the Polycom Trio conference phone for a unified, stylish VoIP phone experience. The large color display with 12 line keys and four soft keys provide deep usability options. OBi software enables an amazing 36 virtual lines, more than many phones offer even with an expansion module. And it doesn’t cost you a cent more. Of course, you get the incredible audio quality of Polycom HD Voice and Polycom Acoustic Fence. You get futureproof Gigabit bandwidth. You get the USB port for enabling WiFi or using with a headset. VVX 450 is built for performance. 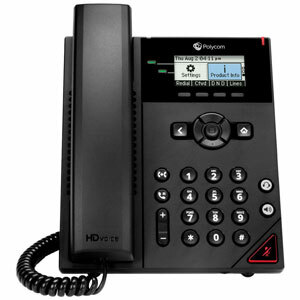 Polycom VVX 150 OBi Edition is an entry-level VoIP phone for use by basic users or in common areas. A two-line phone with a monochrome display and four soft keys, VVX 150 offers Fast Ethernet connectivity and a dedicated RJ9 port for headsets. Even though it’s a basic IP phone, VVX 150 still gives you Polycom HD Voice and Acoustic Fence support, so you get the same crystal-clear audio as premium options. Dependable and practical, VVX 150’s simple interface requires minimal training, making it quick for new users to adopt. 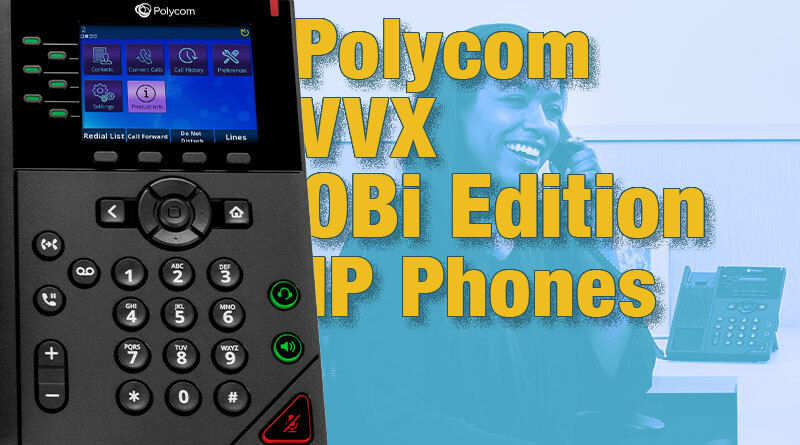 Shop IP Phone Warehouse for the new Polycom VVX OBi Edition IP Phones!